Last year, Facebook subsidiary communications platform WhatsApp, released an enterprise version for Android. Then, about a month ago, it debut on iOS, but only in a limited number of countries. Now, it’s starting its global roll out for the iPhone. The new WhatsApp iOS business app differs from its consumer counterpart. It allows companies to set up business profiles to share contact details. Plus, greetings and away messages. “Business Profile: Share useful information about your business such as a business description, email or store addresses, and website. 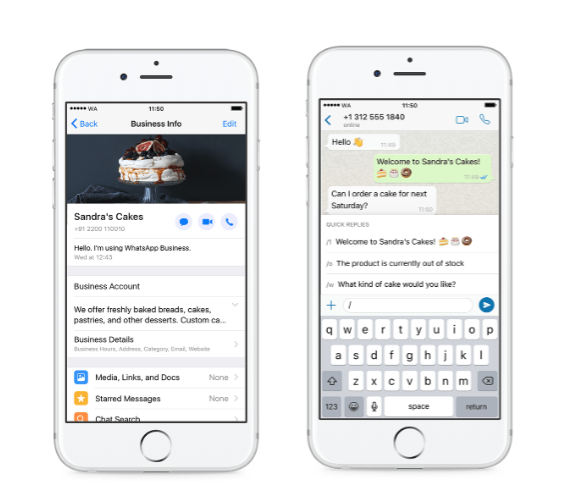 The WhatsApp iOS business app is available now in Brazil, Germany, Indonesia, India, Mexico, the UK, and the US. It will become available to the rest of the globe in the next few weeks.